tagged with calendar carnage, Rule Brittania! 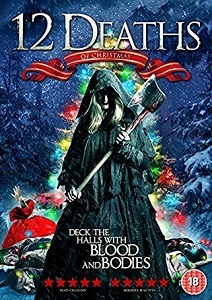 I was totally unaware that this and Mother Krampus (which I blind bought a few weeks ago, inferior cover art and all) were the same film until I read this. I think I confused it with Once Upon a Time at Christmas. …Well, that’s not a good sign. They clearly weren’t from RADA, but the ability levelled out and I’ve seen a lot worse.